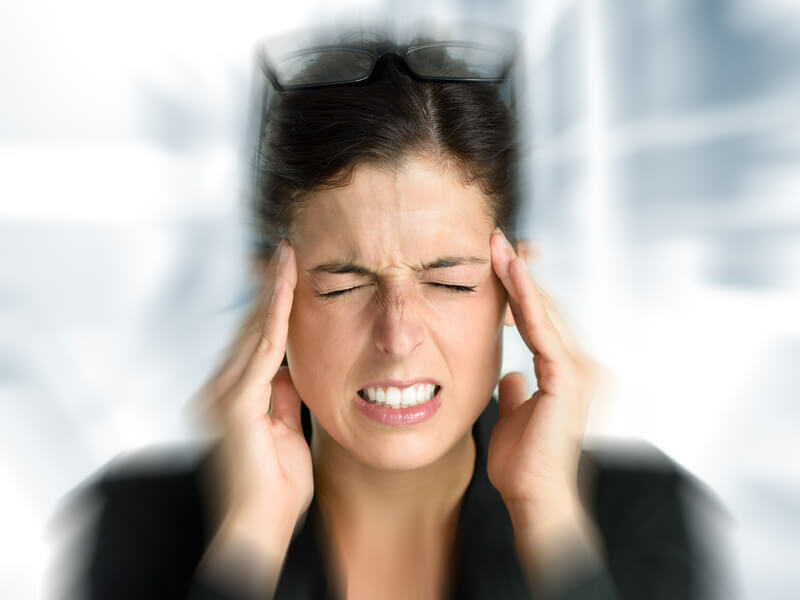 We all have experienced having a headache and know how debilitating it can be. A headache is a condition of mild to severe pain in the head. It can also attack our upper back or neck. There are different types of headaches, but the majority of headaches are actually brought on by stress and bad posture. One of the main cause of headache is tension in the muscles of the neck, scalp and jaw. We usually deal with it by taking over-the counter medication to get rid of the pain. But isn’t that just hiding the symptoms of an underlying condition? Why not try an easy natural remedy that could help heal the source of the pain. One of the easiest and fastest way to fight a headache is massage. Massage is the practice of applying pressure to the soft tissues of the body, to help heal injury, relieve psychological stress, manage pain, improve circulation and relieve tension. When we suffer from a headache, we can help ourselves with self-massage. It’s simple and everybody can do it, at work or at home. Here is a four-step massage routine to help release tension and heal our headache. Under Eye massage: Close your eyes. Place your indexes on both sides of your nose pressing gently and gliding following the cheekbone, finishing with gentle circles on the temple area. Upper eye massage: Using thumbs, feel where the bone on top of the eye socket meets the bridge of your nose and find a point where there is a small indentation. Apply gentle pressure with both thumbs for 10 seconds, finishing off by gliding following the eyebrow line. Neck base massage: Under the skull is one of the best part of the body to be massaged as it is the point where the muscle holding your head come up to attach. It is full of trigger points (the famous “knots”). Using the the tips of your fingers, create small circle pulling the muscles up into the skull. For extra relief, use thumbs to apply pressure on specific points all along the skull line. You can also go lower into the neck and even by squeezing shoulders one at a time with opposite hand. Scalp Massage: Use the palms of your hands to massage your scalp all around your skull. Once you have performed all these steps, your head should feel lighter and your headache should subside. The best way to deal with headaches is actually working daily on preventing them by, stretching and working on correcting postural issues. You can get advice on this by consulting your remedial massage therapist, myotherapist, physiotherapist, osteopath or chiropractor. Do you have other natural remedies to help prevent or treat headaches?